The zombies are coming to Netflix. 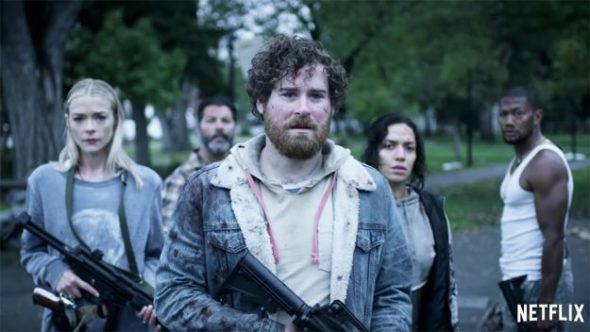 The streaming service just released the premiere date and a new trailer for their upcoming TV show, Black Summer. The drama is set in the “dark, early days of a zombie apocalypse” and stars Jamie King as a mother separated from her daughter who joins a group of refugees. Black Summer premieres on Netflix on April 11th. What do you think? Are you a fan of zombie shows? Will you check out Black Summer? More about: Black Summer, Black Summer: canceled or renewed?, Netflix TV shows: canceled or renewed? They need to make a 6 final season of z Nation. Damn. Love that show. They just went write off the board with this One .